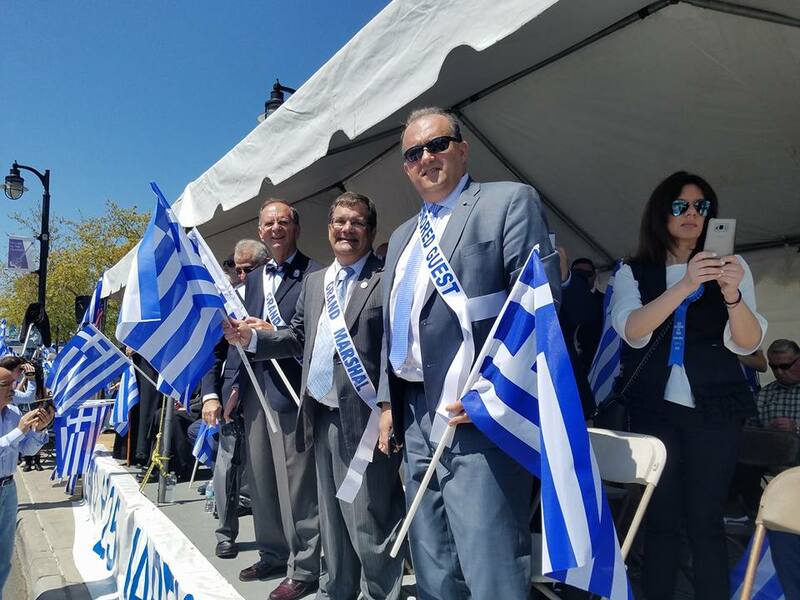 WASHINGTON, DC — AHI Foundation President Constantine Galanis served as one of several Grand Marshals at the Tarpon Springs, Fla., Greek Independence Day parade held March 18, 2018. AHI President Nick Larigakis participated as an Honored Guest of the parade committee. 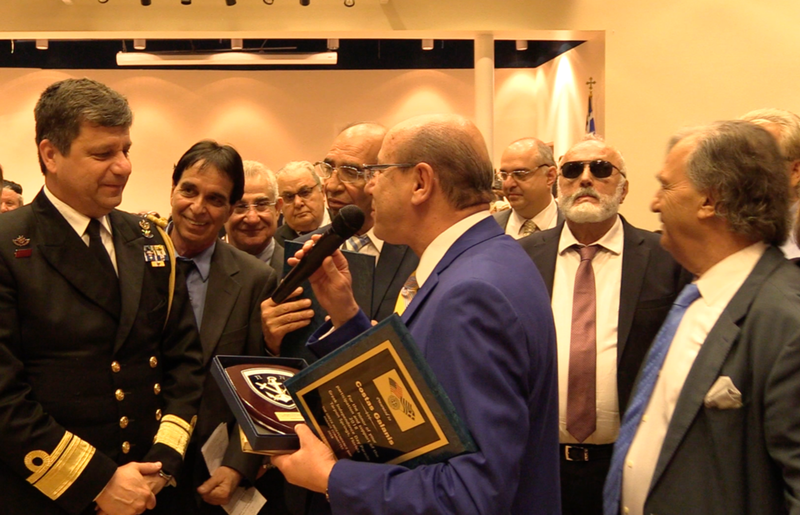 In his remarks to the audience, Larigakis reminded the community that its work is not done as long as Turkey continues its aggression in the Aegean Sea, its occupation of the Republic of Cyprus, and its suppression of the Ecumenical Patriarchate’s religious freedom. He added all of these acts are in violation of international and U.S. law, and because of the latter, the community must reach out to their members of Congress to advocate on these issues. 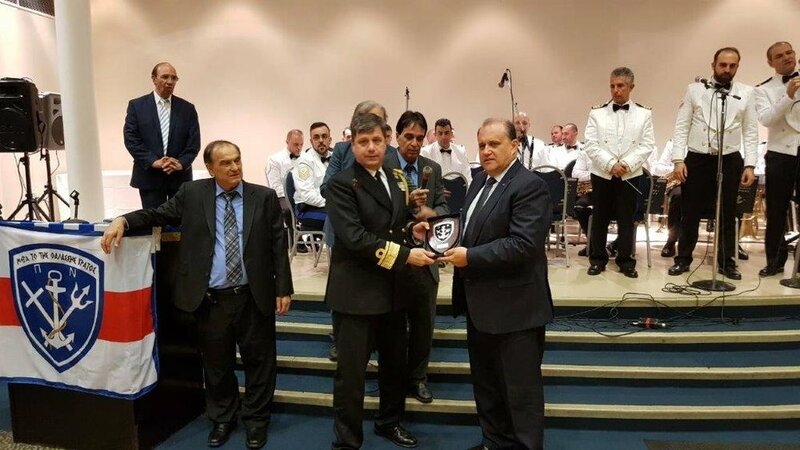 While in Tarpon Springs, Rear Admiral Ioannis Paxivanakis, deputy chief of the Hellenic Navy General Staff, presented President Larigakis and President Galanis with an honorary plaque at the annual Greek Independence Day dinner. Finally, we would like to congratulate long time AHI member George Mermelas, Public Relations Chairman of the Parade Committee, who was responsible for helping to organization, once again, this year’s highly successful Greek Independence Parade in Tarpon Springs, Florida.